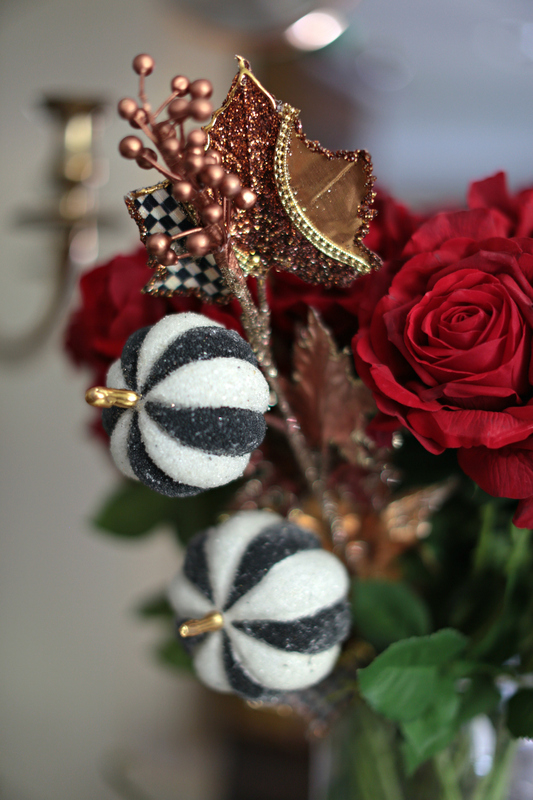 I teamed up with MacKenzie-Childs to showcase all my favorite Fall & Holiday items from their newest collection this season. 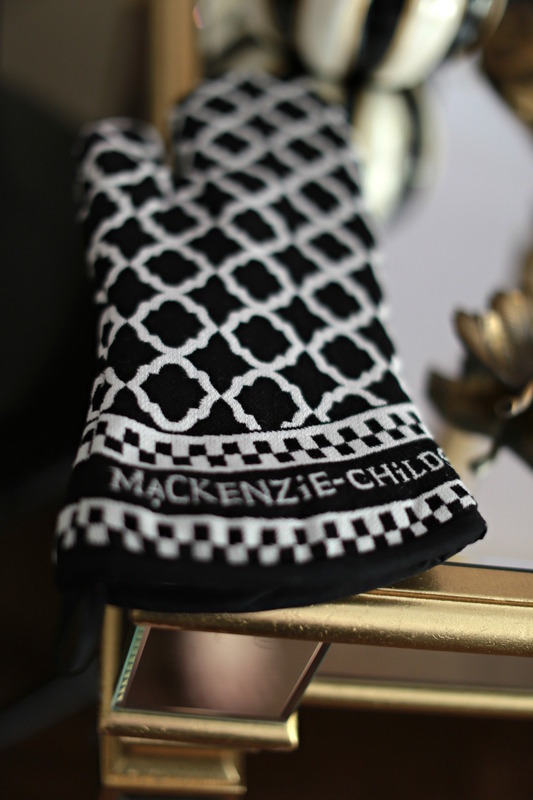 I love MacKenzie-Child’s iconic black and white styles, their pieces add so much elegance to my home! 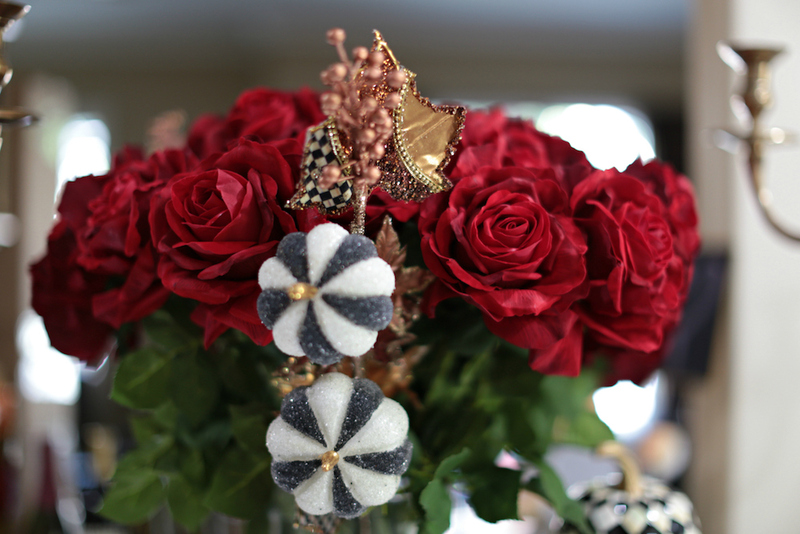 Black and white mixes so well with metallics and seasonal colors such as orange and red. The use of black and white in decorating creates such a stunning and dramatic mood, and the combination of these two simple colors can truly maximize your decorating statement! There’s a rule in decorating that says that every room can use a touch of black. You might think this is strange if you have a room of pastels or jewel tones, but take a minute to reflect over it: Using the color black adds a focal point of color that grounds, anchors, and adds a sophisticated look to a room! 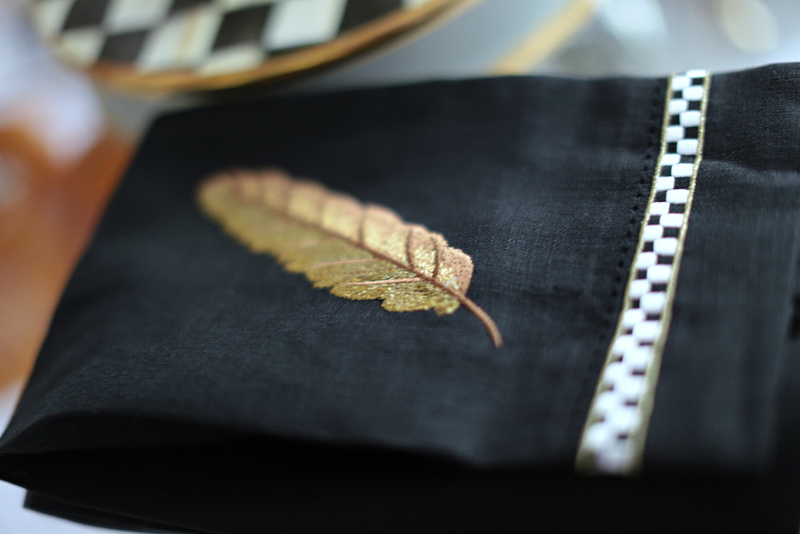 Since I tend to go for a glamorous yet classy look in most my interior spaces, adding a touch of black helps me bring my overall feel and look to a more sophisticated level. Too much glam can often end up as a little tacky, so to get real drama and spark, pair black with white! 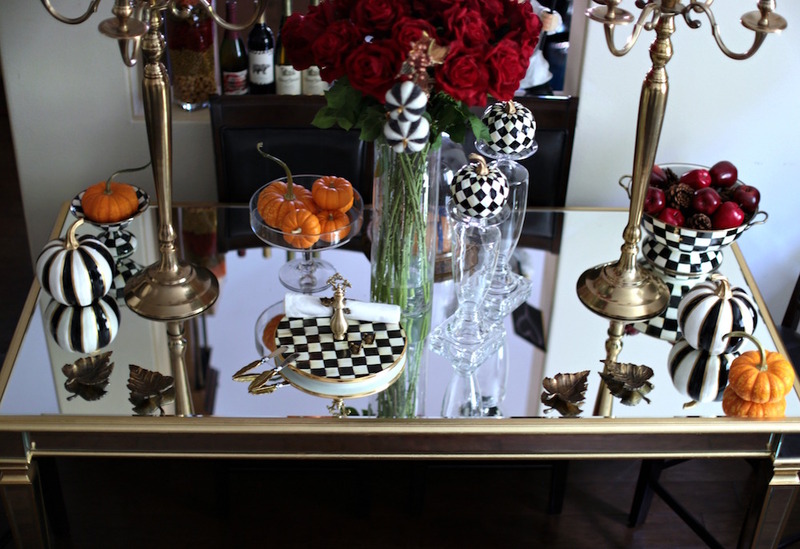 My beautiful mirrored and gold dining table is from Lamps Plus. Mirror furniture brightens up any room and makes small rooms seem bigger, all while adding style. Although you might think that the mirrored furniture is just too much, it is possible that this is the only thing that is truly missing from your home. 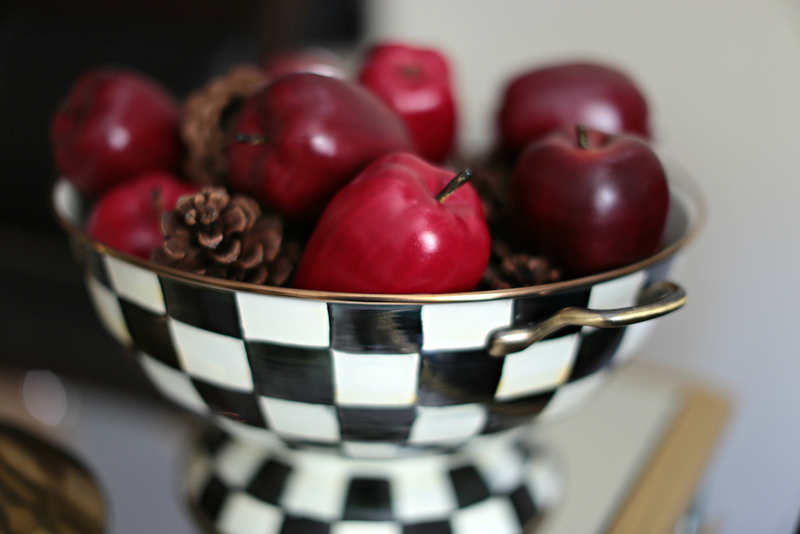 All my items from MacKenzie-Childs are available in-stores now! 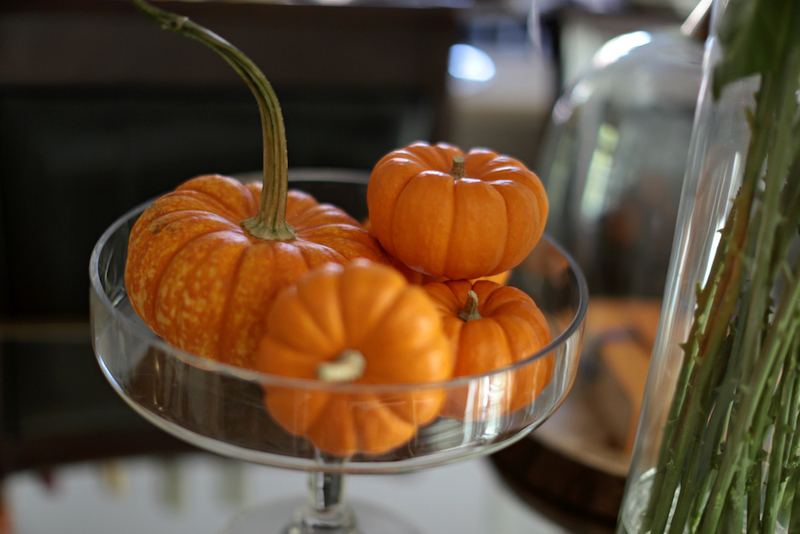 Happy Fall, everyone! Such a beautiful table! 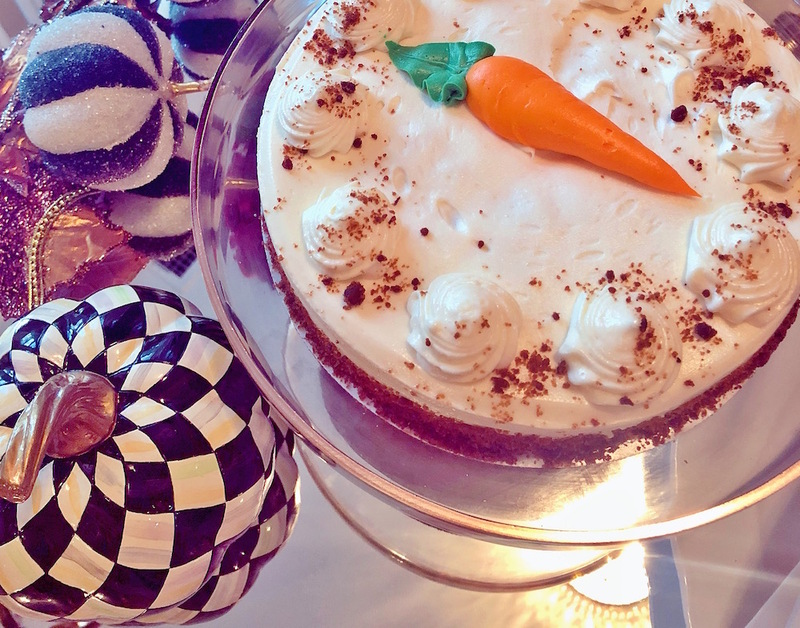 The decor is super classy and fun, Charlotte! I’m so excited for Fall! Your photos and home is so beautiful!